When Tom and I moved to Atlanta a year and a half ago, we had never tried Indian food. We had been serious foodies in Milwaukee, but as a less diverse city, Milwaukee didn't give us a lot of ethnic options. Clearly, we were missing out. We've now found our "go-to" Indian restaurant that we try to frequent, but it's about a 40 minute drive from where we live now. Given the opportunity to review this cookbook was a welcome privilege. Since we can't visit our favorite Indian locale as easily anymore, this cookbook has brought out the chef in us. We're both naturally inclined to cook as it's something we enjoy, but we also love a challenge. After trying Indian food, we realized we were missing out on a great plethora of flavors -- this cookbook teaches you how to use and master those unfamiliar spices. Reading through each recipe and admiring its beautiful photography helped us realize we're perfectly capable of mastering the Indian cuisine right in our own home. 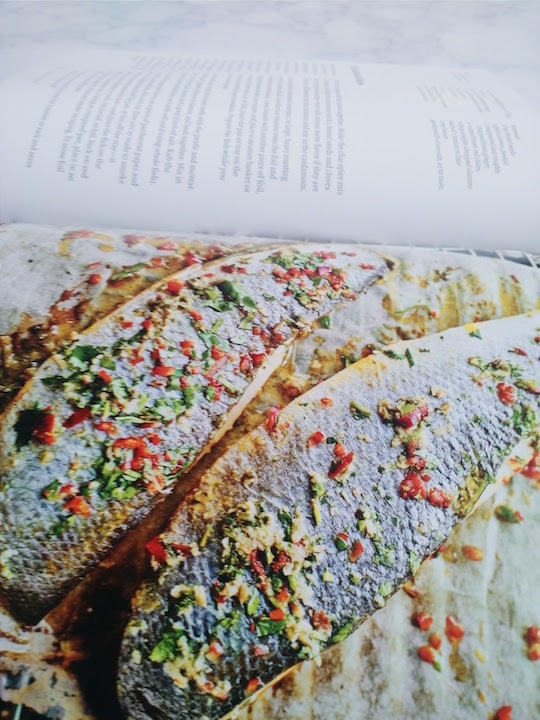 From whole roasted salmon with coconut and dill, to cumin roast potatoes, to pecan muffins with saffron cream... this beautiful Indian cookbook is, without a doubt, a book to cherish. Anjali includes helpful secrets to go along with many of her recipes, as well as pages dedicated to her family history. It truly is more than a cookbook, but almost a memoir of an Indian family and the love and tradition they pour into their food. Her recipes are the same classics enriched with new techniques or ingredients. You can read more about Anjali Pathak here. In our excitement to put this book to use, we tried one of the simpler recipes for Valentine's day. 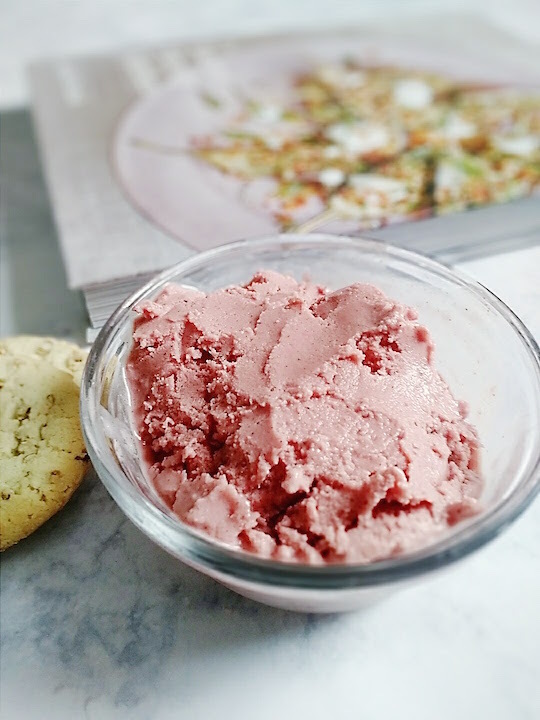 The Pomegranate & Ricotta Frozen Yogurt was simple, and in a word... perfection. It called for ingredients I would never mesh together and created such a harmonious dessert, we have already begun the process of a second batch. It was tangy, not overly sweet, creamy, and (seriously) addicting. The drawback was the fact that finding pomegranate molasses was nearly impossible... but we hunted some down before the day was out! Isn't this book just stunning? 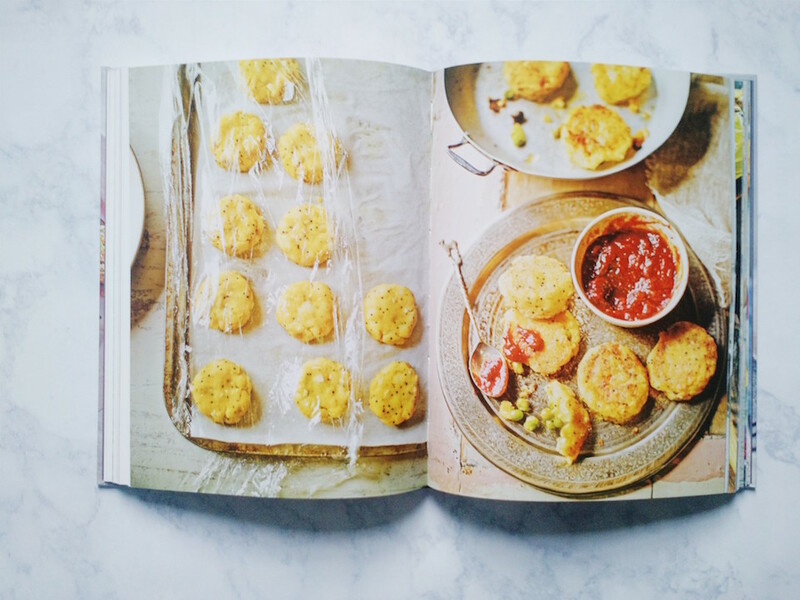 Not only are the recipes mouthwateringly irresistible, it makes a gorgeous coffee table book. So happy to have this one in our collection. Question: What kind of range is best?